My training in The Macrobiotic Leadership Program at Kushi Institute taught me about cooking for the seasons using local foods and the yin/yang qualities of those foods. My favorite meal continues to be Adzuki Beans and Squash with Polenta. Perhaps it has to do with the fact that I’m Italian and Polenta is a staple grain in many Italian homes. I think it may be that the chefs at Kushi Institute just know how to make this meal taste wonderful! 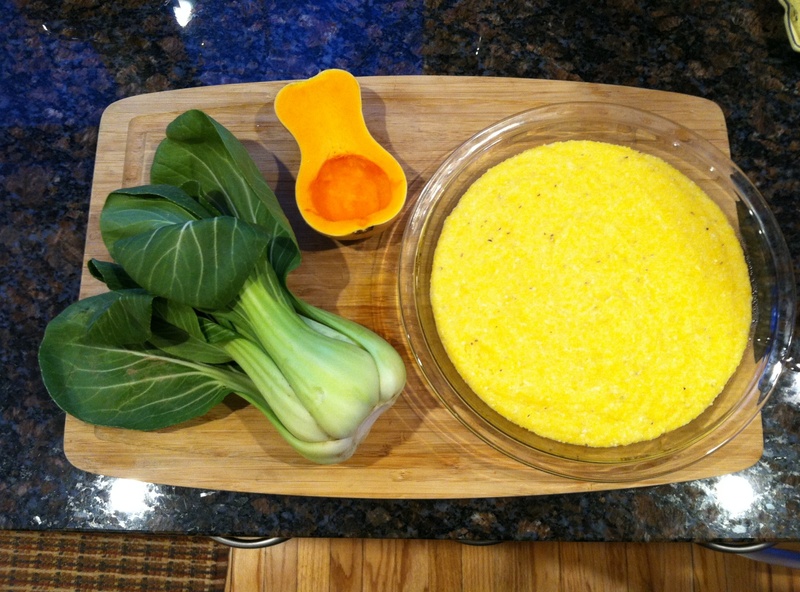 I plan to have baby bok choy along with the polenta which will be pan fried as described below. Let me share the recipe and some of the health benefits of eating this meal. 1 cup good quality organic winter squash such as butternut or Hokkaido pumpkin, washed with seeds removed cubed with skin left on. Cube squash and set aside. Place soaked kombu in bottom of heavy pot. Add presoaked beans with soaking water on top of kombu, try to keep the kombu under the beans. Bring to boil then reduce heat and simmer for approximately 30 minutes. Add the cubed squash on top of beans and make sure the water is covering just the beans so squash is steamed while cooking. Continue to cook over low heat for 45 minutes checking often to assure the beans are no burning on bottom of pot. Adzuki beans are an excellent source of soluble fiber, which helps to keep cholesterol levels in a healthy range. Lower cholesterol is associated with a lower risk of heart disease. They also contain folate, potassium, and magnesium, all of which are essential for a healthy heart. The fiber in adzuki beans helps to keep the digestive system running smoothly, prevents constipation and may help to prevent colon cancer. Maintaining healthy blood sugar levels also help to prevent and treat diabetes. Being diagnosed with diabetes means that your body cannot keep blood sugar levels in balance – the fiber and nutrients in beans helps to keep them at normal levels. The fiber in adzuki beans fills your stomach and keeps you feeling satiated longer. They are also high in protein which helps to keep blood sugar levels low and which, in turn, may help to keep weight off. Adzuki beans are a good way to get B vitamins, including B6, B2, B1, B3, and folic acid. Squash is naturally sweet and is a good source of beta-carotene and complex carbohydrates. Eating winter squash improves our digestion, provides more energy and balances sugar intake healthfully. It is considered to be a chi tonic that is medicinal to the spleen, stomach and pancreas in some healing traditions. Squash contains vitamins A and C, potassium and magnesium. It has anti-carcinogenic properties due to containing high amounts of pre-vitamin A and carotenoids. Place 3 cups water in pot with a pinch of sea salt, cover and bring to a boil. Add corn grits stirring constantly to prevent grits from lumping and bring to boil again. Cover and reduce flame to medium low and simmer for approximately 20 minutes. Remove from flame and pour polenta into a pyrex baking dish. Allow the polenta to cool until it is firm to the touch. Cut into 3 x 3 inch squares or if using pie plate 8 equal pie shaped pieces. Add toasted sesame oil to a skillet add polenta squares and fry them until golden. Manor House at Kushi Institute where student are housed during their programs. Heat oil in skillet and sauté leeks for 2-3 minutes. Add shiitake mushrooms and continue to sauté for 3-4 minutes. Add the water, cover and bring to a boil. Once boiling reduce flame to medium low and simmer for 5 minutes. Reduce flame to very low and add diluted kuzu stirring it constantly until the sauce becomes thick. Add shoyu and continue to cook for 2 minutes. Turn off flame and add parsley or chives, serve over polenta. Kudzu root is a very vigorous plant that was originally grown for its fast growing, soil erosion protective qualities in southern United States. It is seen as an invasive plant in the United States but in other parts of the world it has been highly valued for its medicinal benefits for centuries. Kuzu is a tonifying herb that has been used topically to relieve acute pain, stiff neck and shoulders. It is also taken to aid intestinal and digestive disorders, food allergies, headaches, fever, vertigo, diarrhea and hangovers. Kuzu assists in cleansing the intestinal villi thus aiding in better absorption of nutrients. Kuzu contains anti-inflammatory and antimicrobial agent daidzein. Daidzein helps to prevent cancer and its genistein helps counter leukemia. Research done recently confirms that regular use of Kuzu suppresses the desire for alcohol. Kuzu is used as a thickener in place of arrowroot and cornstarch. To use Kuzu put it into a small amount of water to liquefy then add to recipe as thickener. Though it has become more difficult to find non GMO corn in the US it is worth to search. Corn is a chi tonic that strengthens overall energy and supports the stomach, kidneys and large intestine. Corn can also be used to treat heart disease and loss of appetite. It stimulates bile flow, prevents the formation of urinary stones, lowers blood sugar and is used to treat cases of difficult urination or edema. Corn is the only grain to contain vitamin A with yellow corn containing a higher level than white corn. Corn’s natural sweetness satisfies sugar cravings. Shiitake mushrooms support the spleen, stomach and liver functions and are a blood and chi tonic. They are restorative in that they detoxify the digestive system and related organs and help to rid the body of excess phlegm and mucus. Shiitake contain two potent substances with proven pharmacological effects as immune regulators and antiviral and antitumor agents; they also positively affect the cardiovascular system. Shiitake is used in eastern medicine to treat diseases involving depressed immune function inclusive of cancer, AIDS and flu. They are rich in vitamin D, B2 and B12 and are a good source of minerals when grown in a mineral rich medium. I hope you enjoy this meal. 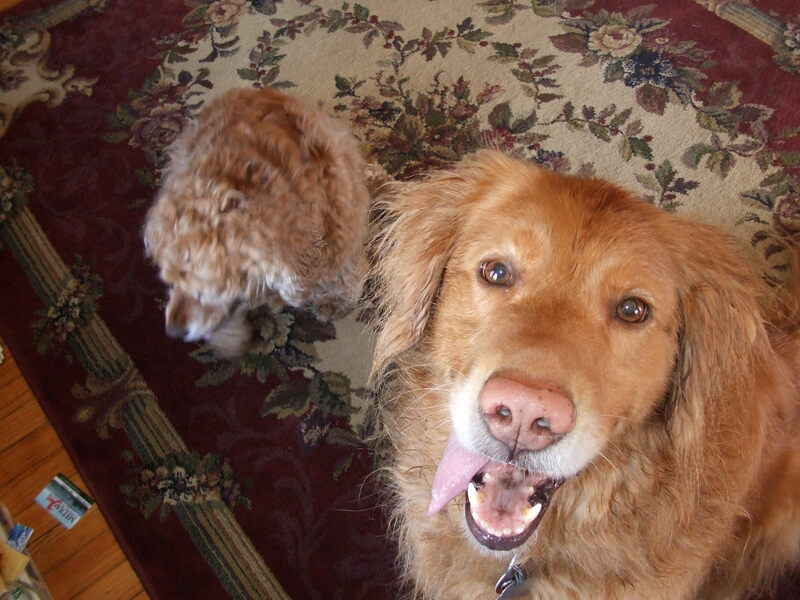 Kira, Pooh and me all wish you happy healthy eating! This entry was posted in Uncategorized and tagged adzuki beans, Golden retriever, health coaching, healthy eating, healthy recipe, Italian, Kushi Institute, macrobiotic, nature, nutrition education, polenta, recipes, vegan, vegetarian, Whole foods cooking, winter. Bookmark the permalink.